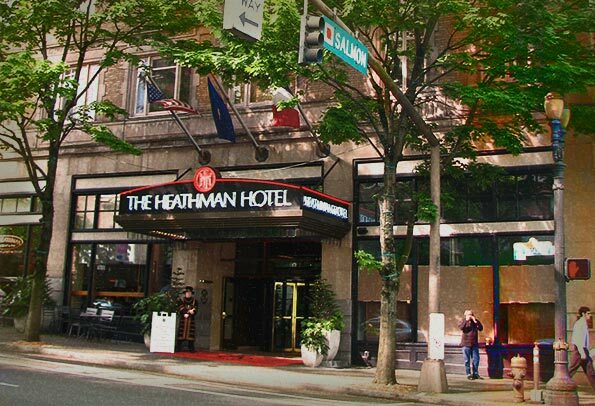 Is the The Heathman Hotel haunted? Some reports of hauntings from hotels are of a fairly benign nature with guests reporting strange noises or apparitions spotted in hallways, but the spirit or spirits in Portland, Oregon’s Heathman Hotel, one of the most haunted hotels in the United States, seem to take a somewhat more sinister approach to alerting people to their presence. Not content to simply make an appearance now and again, these ghosts climb into bed with guests, swaddle them in bedclothes and stare at them menacingly from shadowy corners. A column of rooms ending in the number “03” are said to be particularly haunted with the most activity reported in rooms 703, 803 and 1003. One story says that a guest once jumped or fell from a window in this row of rooms although this is unconfirmed. 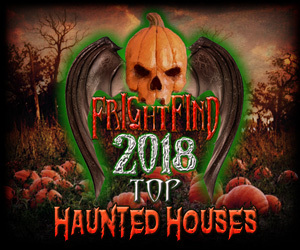 At least one psychic has also reported that the spirits are friendly, but that may offer little comfort to the guest who wakes thinking that an intruder has entered their hotel room in the night. Guests often report the sensation that someone has climbed into bed next to them. One person woke to find someone standing at the foot of the bed while another says a man ran from his closet, but security could later find no sign that anyone had been in the room. Meanwhile, odd shadows lurk on video taken in the hotel, and guests say that on returning to rooms, they sometimes find items such as water glasses and towels moved around. When key cards are checked, there is no recorded activity from staff or anyone else in those rooms. It’s not just the guests who report encounters with restless spirits. Housekeeping staff say they have had trouble entering the rooms on occasion. Room 703 seems to be the main hotspot for spectral activity, and in the 1990s a psychic confirmed this. It is also believed to be the room from which someone jumped and is frequently requested by ghost-hunting guests. 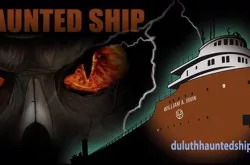 However, hauntings have been reported in other places as well. 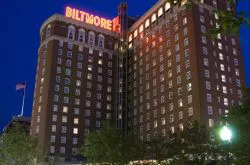 A guest in room 510 saw the apparition of a woman sobbing in a chair, and the person who jumped would have landed in the space that is now the hotel library prior to its construction. 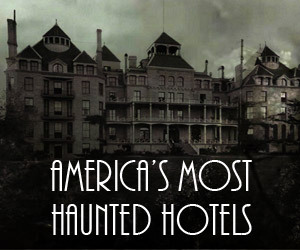 Ghost enthusiasts are likely to be rewarded with a stay in the Heathman, but they might want to bring a companion and take turns falling asleep at night. Rooms ending in the number “03” are said to be particularly haunted with the most activity reported in rooms 703, 803 and 1003. Room 703 has had the most reportings of haunted activity. Room 510 was reported to have the ghost of a woman crying in a chair. The Hotel Library has seen activity. I was attacked in room 1003 about 2 years ago and will never forget it! It’s had me wondering ever since. So much that I am going to stay in that room again and see if it happens again. I’m taking my recorder this time! I was in 604 at the end of the hall, saw a man in a hat and overcoat standing in the corner by the door. No fear but he was definitely there! 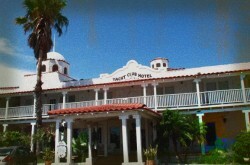 I slept great and LOVE this haunted hotel!